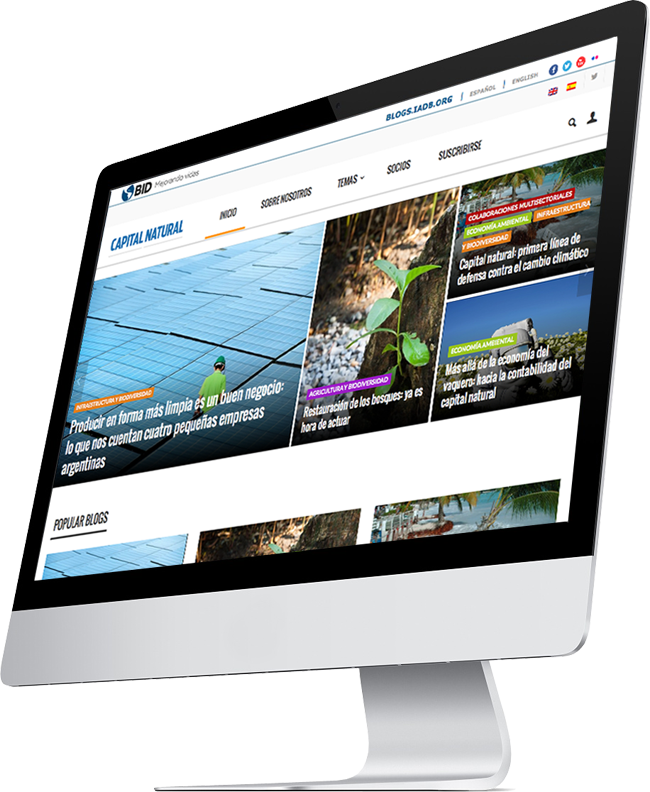 Biodiversity and Ecosystem Services Department at the Inter-American Development Bank hired 1127gd to create a website based on a blog they used to share information about Sustainable Economic Growth and Development. 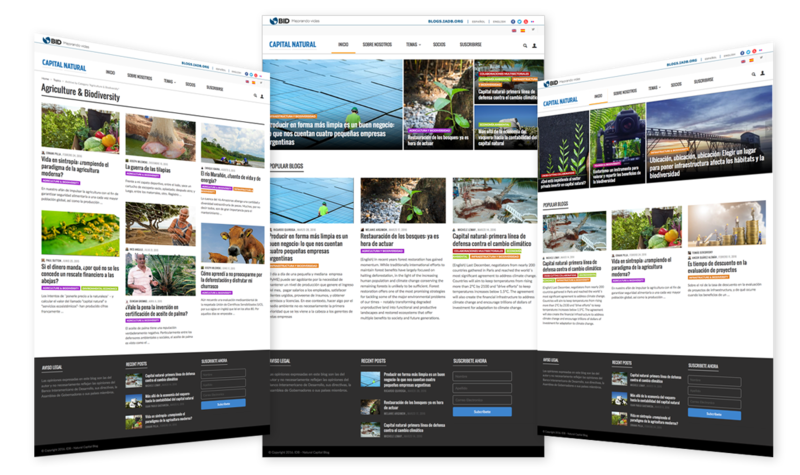 They want to convert the blog into a full website, where they have opportunity to showcase different articles in a very organized way, with topics, partners and a way to subscribe to the website. 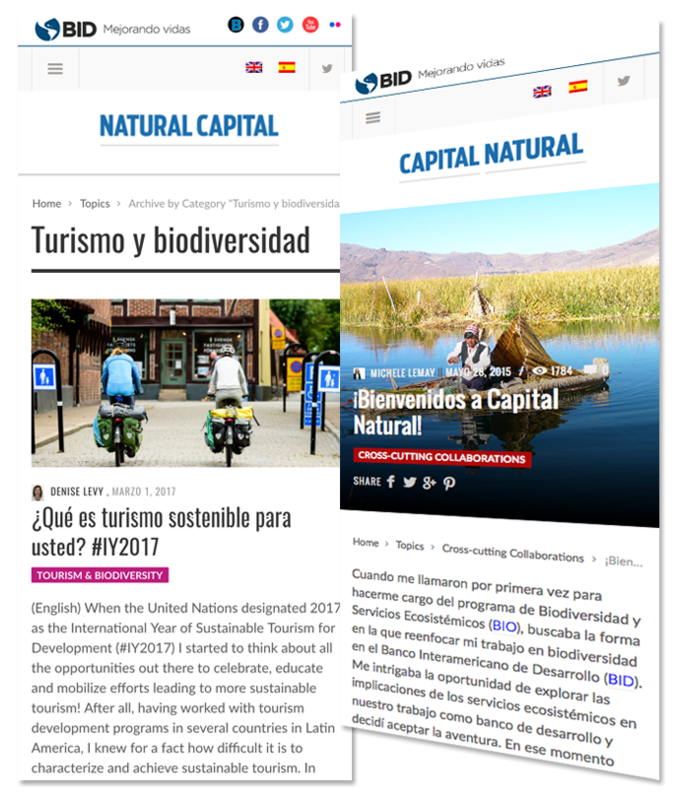 This website is mobile-friendly and fully bilingual (English and Spanish), and the author is the one who manage the website.